If you're looking for an effective, cost-efficient way to advertise your product or service, you've found it. Our high-quality advertising coasters are the perfect way to advertise your product, service or event. In just 1-2 weeks, you can have our customized advertising coasters delivered right to your door and for a lot less than you might think. Our advertising coasters can help you spread the word about your big event. 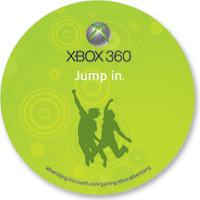 Advertising coasters are a great way to build brand awareness. Use our advertising coasters to announce a grand opening or a special event. Partner with a complementary service and share both sides for twice the value.